Considering the increasing deployment of smart home IoT devices, their ownership is likely to change during their life-cycle. IoT devices, especially those used in smart home environments, contain privacy-sensitive user data, and any ownership change of such devices can result in privacy leaks. The problem arises when users are either not aware of the need to reset/reformat the device to remove any personal data, or not trained in doing it correctly as it can be unclear what data is kept where. In addition, if the ownership change is due to theft or loss, then there is no opportunity to reset. Although there has been a lot of research on security and privacy of IoT and smart home devices, to the best of our knowledge, there is no prior work specifically on automatically securing ownership changes. We present a system called Open image in new window for securely handling ownership change of IoT devices. 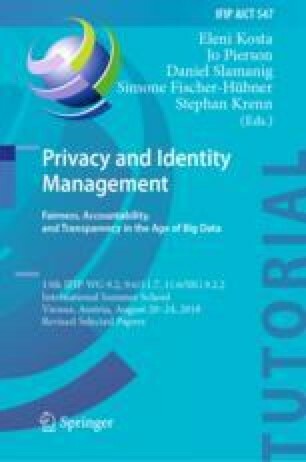 Open image in new window combines authentication (of both users and their smartphone), profile management, data protection by encryption, and automatic inference of ownership change. For the latter, we use a simple technique that leverages the context of a device. Finally, as a proof of concept, we develop a prototype that implements Open image in new window inferring ownership change from changes in the WiFi SSID. The performance evaluation of the prototype shows that Open image in new window has minimal overhead and is compatible with the dominant IoT boards on the market. This work is supported by the Academy of Finland under the WiFiUS program (grant 309994), the Wallenberg AI, Autonomous Systems and Software Program (WASP), and the Swedish Foundation for Strategic Research (grant SSF FFL09-0086).